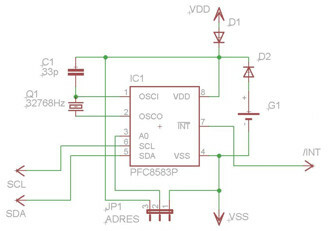 The PCF8583 is a real time clock IC with a small bit of additional memory to boot. Looking to buy or find the datasheet. Look here.  Slave addresses: 0xA0h or 0xA2 depending on jumper setting. Here you can see the schematic and next to that that a picture. The IC that goes next to the PCF8583 is a 24LC16 memory chip about which there is another article. The output from the library can be seen in the screenshot. It shows how you can update the time by sending YYMMDDhhmmss; to the arduino. The semicolon is needed to indicate end of the message. You do this in the serial window of your pc. Simply type the correct string and press send. 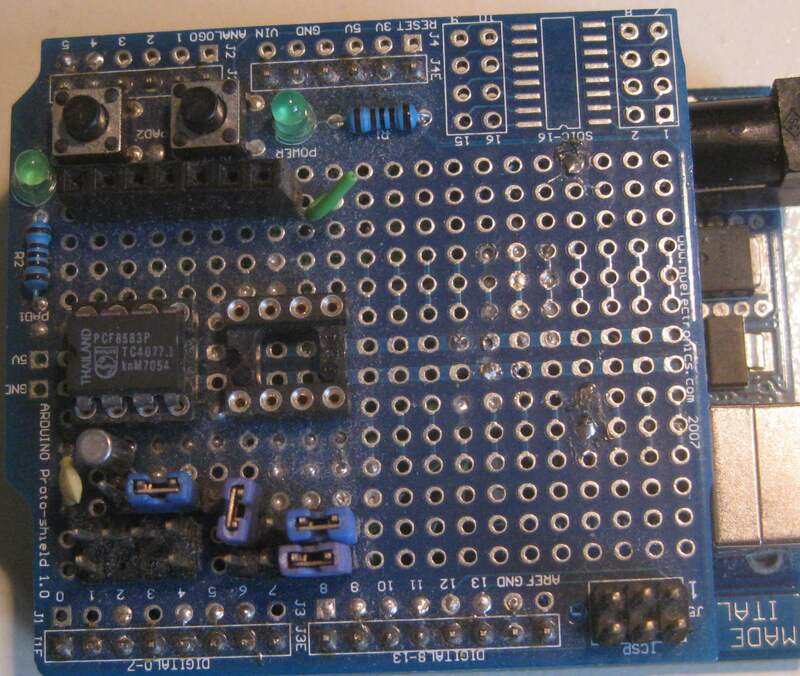 The library has been updated to work with the arduino 1.0 environment. Here are some more links to other sites talking about this chip and the arduino. This guy seems to pretty much have done it all.